Obituary for Erma MacDiarmid | Binkley's Funeral Service Ltd. 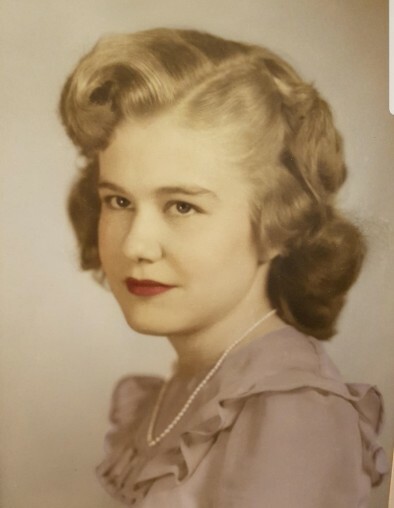 It is with heavy hearts that the family of Erma Amilda MacDiarmid announce her passing on April 4, 2019 at the age of 83. Erma passed away peacefully at the Southwest Integrated Healthcare Facility in Maple Creek, SK with family by her side. Erma leaves to cherish her memory her children Nancy Lunn, Rod (Jayne) MacDiarmid, Heather Steele, Derrick (Karla) MacDiarmid, and Debbie (Carey) Fitterer; brothers Walter Reich and Donny Reich, and sister Thelma Kalman; grandchildren Jason (Erin) Briggs, Joe Lunn, Matt Lunn, Lisa MacDiarmid, Michael MacDiarmid, Samantha (Curtis) Pelzer, Richard (Chantel) Steele, MacKenzie MacDiarmid, Kaylynne MacDiarmid, Alliesha (Caleb) Hagemeister, Christina (Tyler) Martin, Carlene (Tyson) Frederickson and Kelly Fitterer; and great-grandchildren David, Keagan, Jackson, London, Easton, Leon, Carter, Makenna, Everleigh and Hayes. She was pre-deceased by her parents Alex and Amilda Reich, her husband Del MacDiarmid, and her daughter Wendy Briggs. Erma was born in Weyburn, SK on May 9, 1935 to Alex and Amilda Reich. She had one older sister Thelma and two younger brothers Donald and Walter. Erma grew up and attended school in Yellowgrass, SK. She graduated from high school in Yellowgrass and then fell in love with a handsome young man, Del MacDiarmid, who later became her husband. Together they had six children. Daughter Wendy was born first, followed by Nancy, Rod and Heather. Erma was a busy mom as her first four children were born within 5 years! Seven years later, along came the twins Debra and Derrick - quite a big but happy surprise. Over the years the family lived in Regina and Moose Jaw until settling in Maple Creek in the late 1960’s. They made memories camping in Cypress Hills, going on family trips and spending time together. Erma worked at the Cypress Lodge for many years as a care aid and then in laundry. She was a hard worker and made lifelong friends while working at the lodge. In her spare time, Erma enjoyed bowling, crocheting, listening to music, going for walks, riding her bike, reading, watching her favourite shows (Golden Girls and All in the Family), having coffee visits with her good friends Corrine, Jackie, Lorraine and Marilyn, visiting the farm and above all spending time with family. One of the greatest joys in Erma’s life were her grandchildren and her grandchildren have many fond and special memories with their Grandma. Erma is remembered by her loved ones as being a kind, generous person with a big heart and infectious smile. She was a compassionate, caring and hardworking woman and will be greatly missed by her family, friends and everyone who had the honour of being a part of her life. 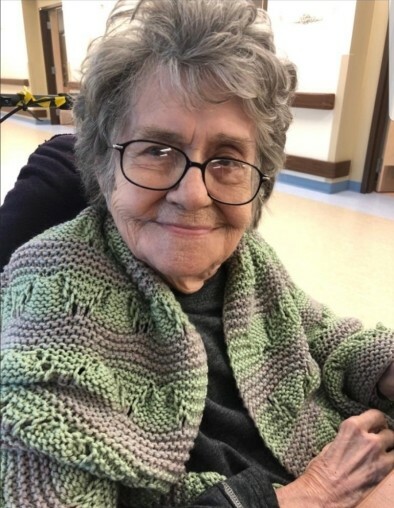 Erma spend the final years of her life being cared for in long term care at the Southwest Integrated Healthcare Facility in Maple Creek by loving and kind staff. Erma’s family is grateful for the care she received during her time at the facility. A celebration of Erma’s life and interment was held on April 9, 2019 in Maple Creek SK.